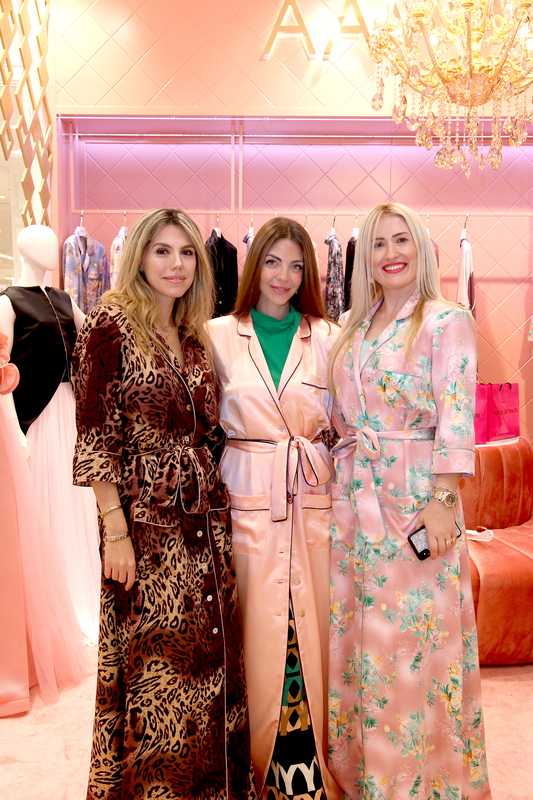 DUBAI— MAY 8TH 2018 — AAVVA, the Brazilian-Lebanese brand in Dubai officially launched the latest “RAMADAN EDIT X STREET” Collection at HOUSE OF FRASER/ YASMALL ABU DHABI, UAE. Ramadan as the most respectful time of the year in Arab countries, AAVVA believe that choosing an ideal outfit for this special occasion shows pure respect. Rising from the essence of these beliefs and practices, the brand prides itself on crafting unique trendy creation proposing a new edgy way of wearing the traditional Kaftan and Jalabiya. Like all the greatest collections of AAVVA, this one is something unique but fleek. Highlighting the new fashionable way of wearing Jammies and Robes, the latest release is inspired by botanical floral prints blooming with stylish poise and touch of oozing sophistication. Extracted from phenomenal ideas of night wears that is made with a twist of avant-garde style, this collection is super trendy to wear on Ramadan gatherings and can be wear out even on the streets at night. The finesse vibes of light-weight fabric made it more comfortable to wear, so perfect for introspecting spirits.